The White Cedar is indigenous to northeast America. It naturally grows into a compact, conical habit with slightly drooped branches. Its leaves are imbricate, almost scaly and grow in flat sprays. Leaves are up to 0.6 cm in length and 0.2 cm in width. The foliage is light green and retains its colour all year round. This tree produces long, thin, yellowish-green cones that become brown when ripe. It has a reddish-brown bark that peels off in thin strips. 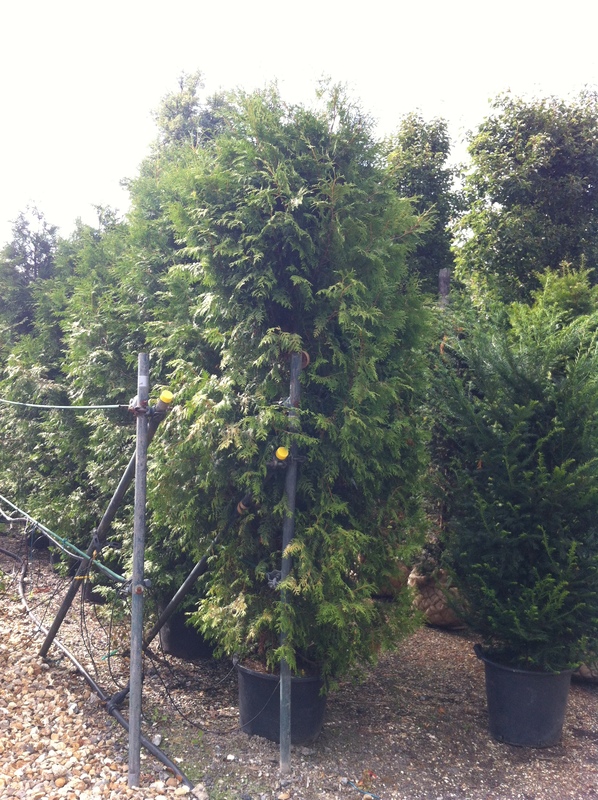 Due to its dense habit this tree is ideal for privacy and hedging. It is a highly tolerant tree and can grow in most conditions. The RHS has given this tree an Award of Merit. Maximum Height: 20 metresThe White Cedar is indigenous to northeast America. It naturally grows into a compact, conical habit with slightly drooped branches. Its leaves are imbricate, almost scaly and grow in flat sprays. Leaves are up to 0.6 cm in length and 0.2 cm in width. The foliage is light green and retains its colour all year round. This tree produces long, thin, yellowish-green cones that become brown when ripe. It has a reddish-brown bark that peels off in thin strips. Due to its dense habit this tree is ideal for privacy and hedging. It is a highly tolerant tree and can grow in most conditions. The RHS has given this tree an Award of Merit.